Professor Mattanjah de Vries, University of California Santa Barbara, USA, has picked his favourite articles in the area of molecular dynamics published in Physical Chemistry Chemical Physics (PCCP) in 2012 and 2013. Read Prof. de Vries’ Editor’s choice selection for free for a limited period by clicking on the links below. Prof. de Vries is on the PCCP Advisory Board. 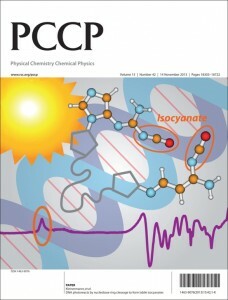 His research group in California combine a number of advanced physical chemistry techniques for a novel approach to the study of complex molecules, isolated biomolecules and clusters, and surfaces. On behalf of the Editorial Board we invite you to submit your best work to PCCP. Guest edited by Majdi Hochlaf, David Lauvergnat and Roberto Linguerri. Guest Edited by Klaas Wynne and Neil T. Hunt. Keep up to date with our latest news: sign up to our e-alert, and follow us on twitter and facebook. We are saddened by the news that Professor Alan Carrington passed away on 31st August after a long illness. Alan Carrington served as President of the Faraday Division of the Royal Society of Chemistry from 1997-1998 and played a very supportive role in bringing together the Royal Society of Chemistry and other European societies to create the journal Physical Chemistry Chemical Physics. He was one of the foremost spectroscopists in the UK, if not the world. Educated at the University of Southampton, B.Sc, 1955, Ph.D under the supervision of Martyn Symons working on esr spectroscopy, 1959. His successes included many prizes of the Royal Society of Chemistry [or its forebears], the Harrison Memorial Prize 1962; the Meldola Medal 1963; the Marlow Medal [of the then Faraday Society] 1966, the Corday Morgan Medal 1967, the Tilden Lectureship and Prize, 1972, The Faraday Medal 1985, and the Longstaff Medal 2005. You can read an Obituary of Alan Carrington written by David Philips here. 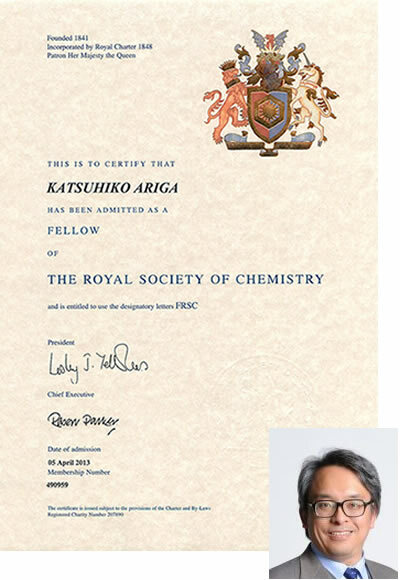 PCCP Associate Editor Katsuhiko Ariga has been admitted as a Fellow of the Royal Society of Chemistry. Professor Ariga is a Principal Investigator at MANA and is the Director of Supermolecules Group at the National Institute for Materials Science (NIMS) in Japan. His research covers supermolecular chemistry and surface science, including the boundaries between organic chemistry, physical chemistry, biochemistry, and materials chemistry. He is well-known for his work on supramolecular recognition at interfaces and on biomimetic systems. Submit your work to Professor Ariga’s Editorial Office. PCCP Deputy Chair David Nesbitt has been elected as a 2013 member of theAmerican Academy of Arts and Sciences. He joins some of the world’s most accomplished leaders from academia, business, public affairs, the humanities, and the arts, including JILA Fellows Carl Lineberger, Eric Cornell, Margaret Murnane, and Deborah Jin, Fellow emeritus Carl Wieman, and such luminaries as George Washington, Benjamin Franklin, Daniel Webster, Ralph Waldo Emerson, Albert Einstein, and Winston Churchill. David Nesbitt is know for his research in the areas of laser spectroscopy, dynamics and kinetics of fundamental molecular, bio-molecular, and nanoparticle systems. We are delighted to welcome Professor David Rueda as a new Associate Editor for Physical Chemistry Chemical Physics (PCCP). Professor Rueda is Chair of Molecular and Cellular Medicine at the Faculty of Medicine, Imperial College London, UK. Research in the Rueda lab involves the development of quantitative single-molecule approaches to investigate the mechanism of complex biochemical systems, including RNA folding, RNA splicing, DNA replication and ssDNA scanning and deamination. 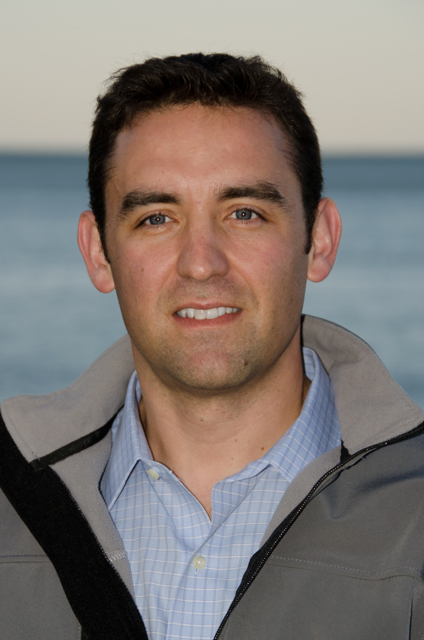 Professor Rueda was a postdoctoral fellow at the University of Michigan and then an associate professor at Wayne State University, where he was awarded the Outstanding Junior Faculty and the A. Paul Schaap Faculty Scholar awards, before taking up his current position at Imperial College London. He studied for his first degree at the Ecole polytechnique fédérale de Lausanne. Professor Rueda will begin handling papers soon and so we encourage you to submit to his editorial office. Publishing work of the highest quality in the broad fields of physical chemistry, chemical physics and biophysical chemistry, PCCP is the ideal place to publish your research. 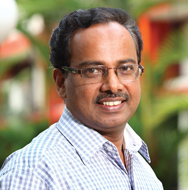 We are extremely pleased to annouce that Dr Ayyappanpillai Ajayaghosh is a new Associate Editor for Physical Chemistry Chemical Physics (PCCP). His research interests include supramolecular chemistry, chemosensors, low band-gap polymers, fluorescent gels, organic nanostructures and photoresponsive systems. Dr Ajayaghosh is a CSIR Outstanding Scientist at the National Institute for Interdisciplinary Science and Technology (NIIST), India. He completed his PhD at the University of Calicut after graduating from Kerala University with a BSc. He has received numerous awards including the Infosys Prize (2012) for his outstanding contribution in the field of physical sciences, and in particular for his work that has advanced supramolecular chemistry. Dr Ajayagosh will begin handling papers soon and so we encourage you to submit to his editorial office. 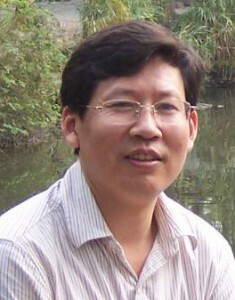 We are delighted to welcome Professor Gaoquan Shi as a new Associate Editor for Physical Chemistry Chemical Physics (PCCP). His research interests are focused on functional polymers, especially the syntheses and applications of conducting polymers and carbon nanomaterials. Professor Shi has been a professor of Chemistry at Tsinghua University since 2000. In 2004, he received the 2nd grade award of Natural Science of China and the youth knowledge innovation prize of Chinese Chemical Society and BASF Company. Professor Shi will start handling papers soon and so we encourage you to submit to his editorial office. 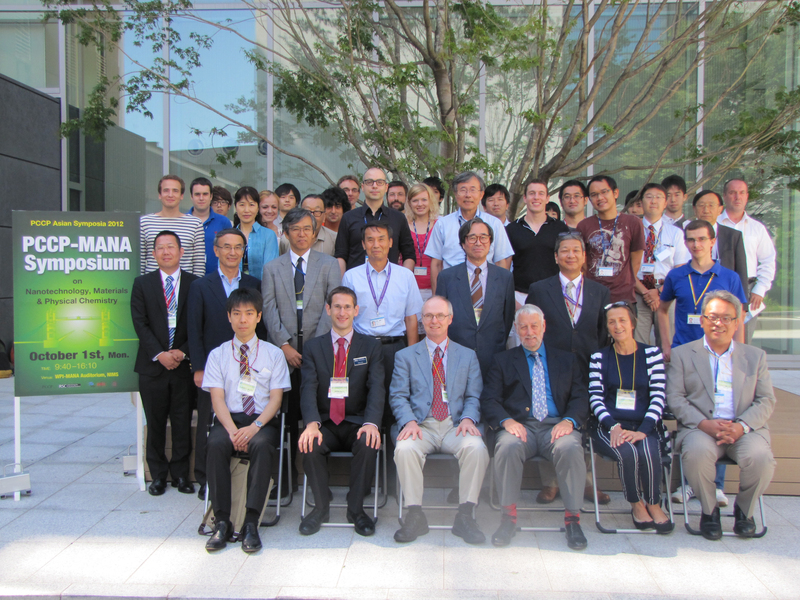 Speakers and delegates alike enjoyed a successful second leg of the PCCP Asian Symposia series on Nanotechnology, Materials and Physical Chemistry in Tsukuba, Japan. 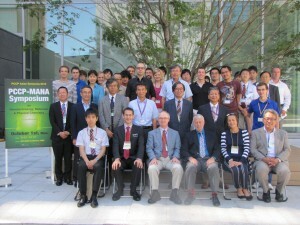 The meeting was held in conjunction with the International Centre for Materials Nanoarchitectonics (MANA). The stimulating talks by speakers, both international and local, provoked lots of discussion. PCCP prize winner Kazuhiko Maeda (Tokyo Institute of Technology) took the opportunity to talk about his work on “Solar water splitting by modified oxynitride photocatalysts”. The final leg of the symposia series will be in Seoul, Korea on Thursday 4th October. Please do join us if you can at Mogam Hall, Building 500, Seoul National University. Check out the PCCP-KCS Symposium schedulefor more information on this exciting meeting. We are delighted to announce that Professor Hedi Mattoussi of the Florida State University has joined the Physical Chemistry Chemical Physics (PCCP) Editorial Board as an Associate Editor. His Editorial Office will open for submissions soon. Prof. Mattoussi’s research interests are in the design synthesis and characterisation of inorganic nanocrystals and multidentate, multifunctional ligands. His work also includes the design of nanoparticle-bioconjugates as analytical tools for sensing, imaging and diagnostics. Physical Chemistry Chemical Physics (PCCP) is delighted to announce that Professor Gabor A. Somorjai of the University of California, Berkeley has joined the Honorary Board of the journal. Professor Somorjai’s research interests are in the fields of surface science, solid state chemistry and catalysis. During his long career Prof. Somorjai has published >1000 scientific papers and received many awards and honours.